I’m going to start off by saying that there are many sources out in the world that will teach you correct form with your squats. 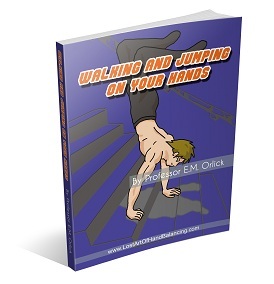 Even we have a book called The Ultimate Guide to Bodyweight Bodyweight Squats and Pistols. I’m going to take a different tact today and give you 3 mistakes you might be doing with your bodyweight squat. When I end up working with clients and have them do a squat , which is one of the key go-to bodyweight exercises that i give my clients with multitudes of variations, I will usually see one of these two things happen. A person will either be stuck in flexion of the back and become overly arching or have posterior tilt, although without engaging some of the other stabilizers like the abdominals or lats. Rarely do I see somebody with strong technique on the first go. A good test is to see where you land by having a profile view of yourself near a mirror completing the squat. I’m going to give you two knee placements that could be hurting your squat. The first is to have your knee extend past your toes. This can cause an excess load on your joints and is usually when I have somebody tell me their knee strains while they squat and asks for variations. The second knee position to look out for is when they collapse or pull towards each other. When this happens, you’ll tend to feel more load on your ankles or a bit of over-stabilization on your lower back. Foot placement is important as well because you are working from a closed kinetic chain. Basically your foot is stationary and practically glued to the floor and everything else that is connected in proximity; knees, ankles, and hips have to move around your foot as a base point. If your foot is in an imbalanced position, it can thoroughly effect your squat as your other muscles have to compensate for that imbalance. There you go! 3 possible mistakes with your squat. One final note. The human body was created with a buffer for variance. As long as you stay within a safety range of movement, you’ll be fine. Also don’t forget to listen to your body. If something hurts; remember there is a difference between pain and the burning sensation from working a muscle, analyze your body mechanics and see if you might be doing one of the 3 mistakes above. If you want to learn more or even master your bodyweight squat, get The Ultimate Guide to Bodyweight Bodyweight Squats and Pistols. The more strength and skill you have the better you’ll be in hand balancing and acrobatics. You may be saying ‘DUH’ but this works on multiple levels. Obviously you’ll require more strength in order to do high strength movements like the planche, iron cross and more. Among various moves some are more strength oriented like those above and others are more skill oriented like the handstand and more so the one arm handstand. Still all require some degree of both strength and skill. Yes you need strength in order to do a handstand. Its not much if you get into a proper body position but it is still present. And if you hold a handstand for a minute or two you’ll start to feel those muscles burning. Even though it doesn’t require much strength, practicing the skills can take strength and endurance. Lets say you’re working on the one arm handstand. Maybe you get ten minutes of practice in before your shoulders are fatigued and you can’t get any more quality work in. Let’s say you’re trying to do a bent arm press. It takes strength plus skill. If your strength is lacking how good are you going to get at the skill of that movement? Freestanding handstand pushups? Going to be very hard to work the balance of the movement if two handstand pushups against the wall is all you can manage. So more strength makes doing the moves easier but also allows you to get more quality practice in. If you’re fatigued then its hard to do fine motor movements. That’s why building a foundation of strength is important. And when you’re just focusing on this foundational strength you want to minimize the skill necessary. I have a video that talks more about this and the four bodyweight exercises that work best for the whole body. All you have to do is go here and signup to watch it immediately. And soon I’ll have even more to help you get stronger and thus more skilled. P.S. If you’ve already signed up the next video on the Do’s and Don’ts of Technique is set to come out tomorrow. But if you haven’t go here now. In sticking with the pressing theme started earlier this week I want to cover a little bit more in this tip. Many people get into hand balancing as a result of doing handstand pushups against a wall. This was the case for me and I know its the same for many others. 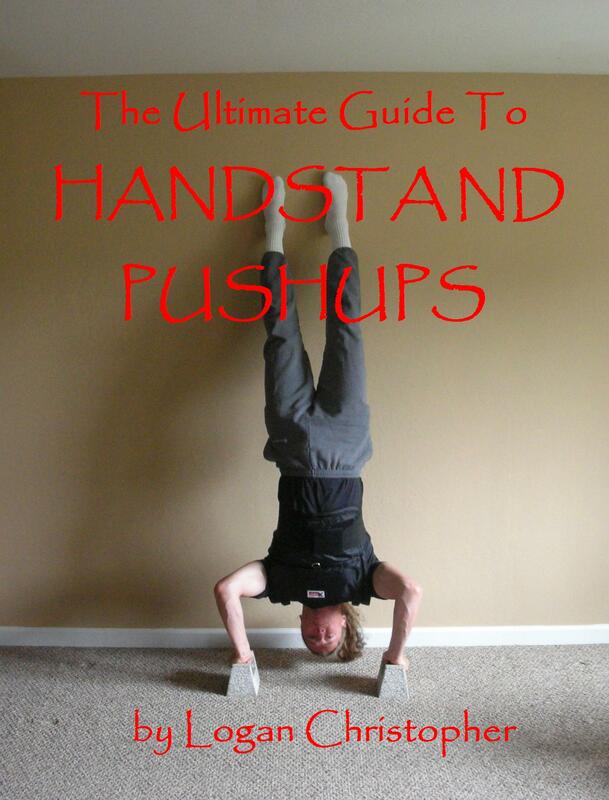 I learned that holding a handstand then doing pushups is one of the ultimate bodyweight exercises for your upper body. But when I started I couldn’t do a single rep. Still the idea of one day being able to rep out handstand pushups AWAY from a wall always inspired me and I have made my way toward that goal. Being able to do freestanding handstand pushups is a feat very few can replicate. Many people do not have the strength. Even fewer have the balance. Play around with the width and angle of you hands and arms and you will find you can change the difficulty of handstand pushups considerably. P.S. There is no way I would have made this much progress without the help of these two men – Professor Paulinetti and Bob Jones. Does lifting weights help to hand balance? The answer is yes and no. Let me qualify all the following by saying there are many different ways to lift weights. Whether you are doing power lifting, Olympic lifting, bodybuilding, or just good old fashioned strength training with barbells and dumbbells. How you lift matters as much as anything. Specifically for pressing movements. It requires a tremendous amount of strength to be able to push your bodyweight overhead. You need strong triceps and shoulders. Since many presses take you through different planes of movement, not strictly overhead work, such as a press from half planche to handstand or the frogstand press you will also need strong pectoral muscles. Of course your back and abdominals are used to keep you stabilized. If you use weights to make these muscles stronger than you will be able to do these stunts easier. Of course hand balancing takes a huge degree balance. While weightlifting can help your coordination, it is nothing compared to what you need to stand on your hands. These days many people are moving away from weights because they think they are not functional. To that I have to say it all depends on how you use them. Spend some time using both and see how well they work for you. Professor Orlick outlines a full on course of barbell, dumbbell, bodyweight and other exercises in Hand Balancing Made Easy. If an accomplished hand balancer like him believed in them, than there surely is value in the exercises. In addition, in the interview I did with Jim Bathurst he talks about his favorite weightlifting exercises and which ones carryover to his hand balancing best. P.S. Professor Orlick even has some very creative weightlifting exercises to help with the one hand handstand. Now you can get How to do the One-Hand Handstand by itself.